It’s the first women-only boxing gym in Canada and the first to open its doors to the trans community. Savoy Howe, the owner, opened the gym in 1996 when she realized how empowered women felt throwing punches. Howe decided to name the club after the Toronto Newsboys Boxing Club, where she had been boxing at the time. The Newsgirls Boxing Club made headlines last year when they stopped Roosh V, a self-proclaimed anti-feminist, from holding a rally in Toronto. When they threatened to crash his rally, armed with boxing gloves, he quickly cancelled stating he could no longer ensure the safety of himself nor the men attending. The boxing club’s mission is to offer individuals help to achieve their own goals, whether it’s to get in better shape or become a professional boxer. The environment is laid back and inviting. By providing a women-only space, members can feel comfortable and focus on themselves. Howe welcomes all cis and trans women to the club, whether they have novice or advanced skills. “Why are we different? We have so much fun,” Howe said. Great Article … what a fantastic way for women to express themselves and empower themselves in a safe and comfortable environment! 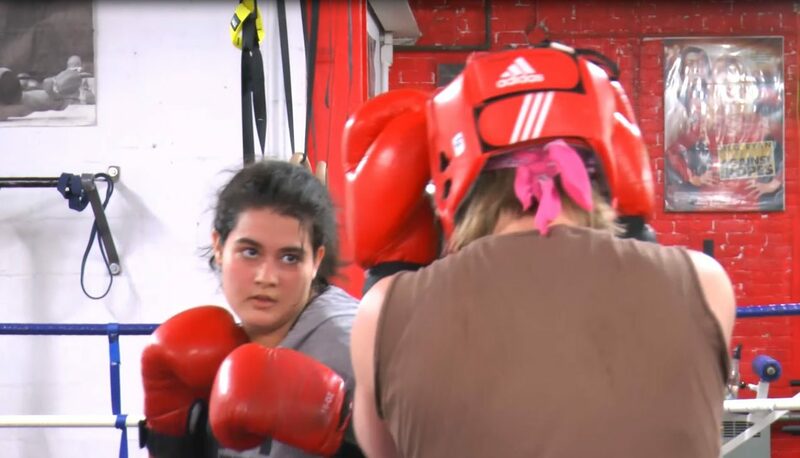 Good for the Toronto Newsgirls Boxing Club for their initiative and kudos to Katie Coombes for highlighting this important option for women and the trans community!